In stock. Order in the next 11 hours, 25 minutes and it will go out today! 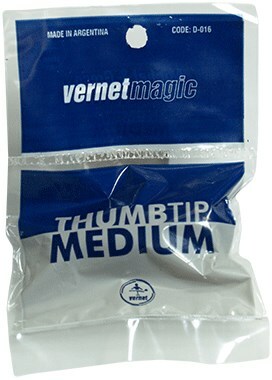 25 years ago, Vernet revolutionised the world of magic with the production of the Vernet Thumb Tip. 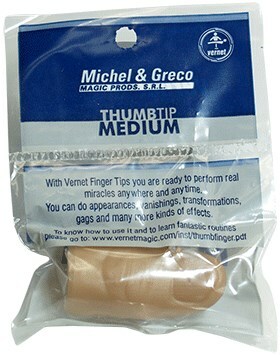 Now, they've done it again with new Thumb Tip Soft. New Material: It's made in an entirely new soft material (not rubber). New Size: It's a bit wider and longer than the classic one, but a bit shorter than the King Size. New Texture: When you touch it you'll feel the new texture surface. You'll love it! !